Delivers 20 Highway MPG and 15 City MPG! This GMC Sierra 1500 boasts a Gas V8 6.2L engine powering this Automatic transmission. TRANSMISSION, 10-SPEED… AUTOMATIC, ELECTRONICALLY CONTROLLED with overdrive and tow/haul mode. Includes Cruise Grade Braking and Powertrain Grade Braking, REAR AXLE, 3.23 RATIO, GVWR, 7100 LBS. (3221 KG) (STD). 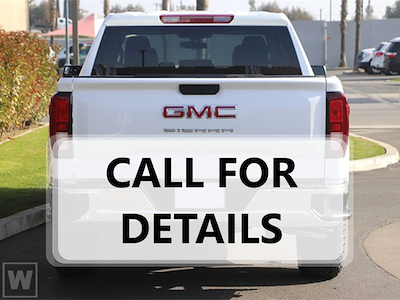 *This GMC Sierra 1500 Comes Equipped with These Options *DENALI ULTIMATE PACKAGE includes (CWM) Technology Package, (PDJ) Driver Alert Package II, (CF5) sunroof, (BRS) GMC MultiPro Power Steps, (SFE) wheel locks, LPO, (PTT) Trailer Tire Pressure Monitor System and (Q7L) 22 Polished aluminum wheels , ENGINE, 6.2L ECOTEC3 V8 (420 hp [313 kW] @ 5600 rpm, 460 lb-ft of torque [624 Nm] @ 4100 rpm); featuring all-new Dynamic Fuel Management that enables the engine to operate in 17 different patterns between 2 and 8 cylinders, depending on demand, to optimize power delivery and efficiency, Wireless Charging, Windows, power rear, express down, Windows, power front, drivers express up/down, Window, power, rear sliding with rear defogger, Window, power front, passenger express up/down, Wheels, 20 x 9 (50.8 cm x 22.9 cm) multi-dimensional polished aluminum, Wheelhouse liners, rear, Wheel, 17 x 8 (43.2 cm x 20.3 cm) full-size, steel spare. * Visit Us Today *Come in for a quick visit at Nimnicht Buick GMC, 11503 Philips Hwy, Jacksonville, FL 32256 to claim your GMC Sierra 1500!